These 10 amazing cookie recipes use alternative flours like almond or oat—or no flour at all. Made with gluten-free oat flour, these incredible cookies are perfectly crisp. This adult version of the classic Rice Krispies Treats features dulce de leche instead of marshmallows. These easy macarons are filled with raspberry jam. Made with just four ingredients, these crunchy-chewy cookies are Italian for "ugly but good." Tahini adds savory flavor to these almond-flour cookies. 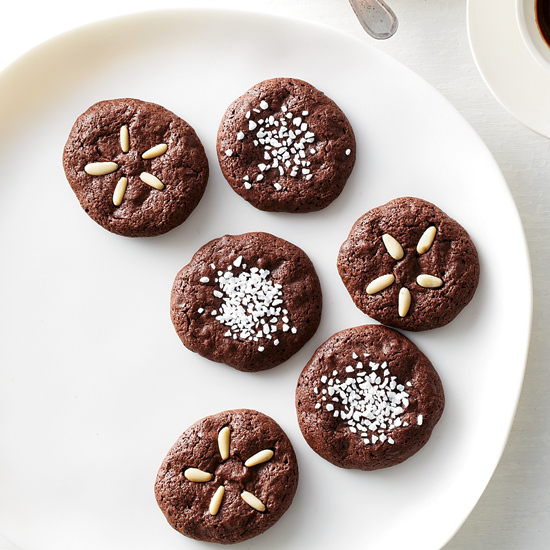 These chocolatey cookies are made with rich Pernigotti cocoa powder. Smooth peanut butter binds these incredible flourless cookies. Pasty chef Francois Payard's healthy, chocolatey cookies don't require any flour. Buckwheat flour adds an earthy flavor and hearty texture to these delicious, soft cookies. These fudgy, over-the-top desserts are topped with decadent chocolate frosting.